At Rowsley the frame repairs on the NRM’s Third Open 7828 are at last complete aside from a few little tweaks. Ben Riley slogged away for hours trying to get a stubborn bolt out of the bottom rail at the toilet end, had a rest, Harvey Coppock came along and gave it a couple of taps and out it came! Such are the joys of carriage restoration. It’s been a long slog of repetitive work on the framing but the prospect of applying the new panels is now mouth-wateringly close. 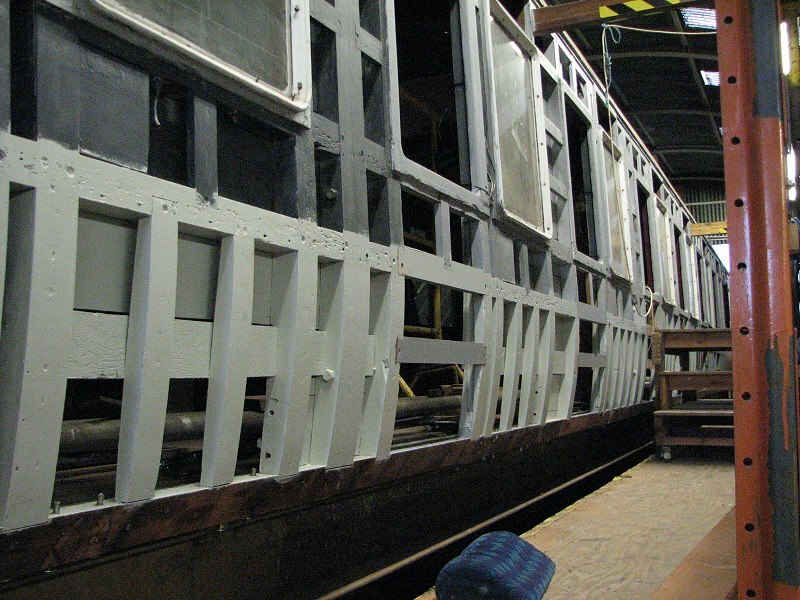 The props we put in to support the frame and cantrail are now out, and that will make access inside the coach much easier.